Long-time managing director of the Brisbane Broncos, Bruno Cullen has questioned the relevance of the ARL Commission to the modern-day business world because of its failure to appoint more than one woman to the new 10-person expanded board. 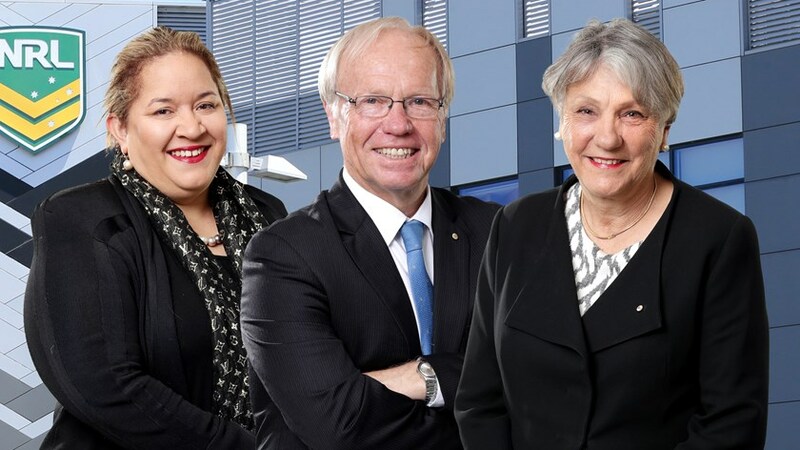 The issue of an unbalanced board comes as the ARLC's first female director Catherine Harris warned it was indicative of the way some powerbrokers in the game were flexing their muscles. Cullen not only headed the Broncos football club, he was chairman of Brisbane's leagues club and was interim CEO at the Cronulla Sharks in 2013 when the NRL asked him to help rebuild the club during the ASADA illegal supplements investigation. The ARLC meets on February 20 and 21 to finalise the new constitution. The clubs will then be entitled to appoint two representative directors and the states one each, which is expected to happen shortly after the AGM on February 21. The four new appointees will join the remaining six independent commissioners following the retirements of John Grant and Harris as they end their six-year tenures. In July it was announced former Queensland Premier Peter Beattie and University of NSW vice-chancellor Megan Davis will join the ARLC. Last month it was floated that Racing NSW boss Peter V'landys and former Collingwood CEO Gary Pert or lawyer Glen Selikowitz would be the two NRL clubs' representatives on the expanded commission, alongside NSWRL and QRL chiefs, Dr George Peponis and Bruce Hatcher. The constitution includes a rotation cycle for the independent directors which means two of them must retire each year. They may choose to stand for re-election but they may not do so, so there is an opportunity when the next director retires for a woman to be appointed. The initial state-represented directors will be appointed for an 18-month term. Cullen stressed he did not want to be critical of the ARLC as he did not know the individuals personally or what directive the Commission had as part of its corporate governance policy. In more than 40 years of director and executive roles, he also said he was not interested in quotas, or any other form of tokenism, to get more females into senior roles. But Cullen believes equality and diversity were central parts of the corporate world, and the sporting industry needed to catch up. "Is it the right time to appoint more women (in rugby league)? There is never a right time, and if anything, reflecting on what we have seen over recent times in community and commercial environments, it is probably past the right time," Cullen told NRL.com. "In what should have been a broad search for potential candidates, not one female was identified as potentially a strong commissioner, able to represent not just females associated in the game, but the game as a whole? "From experience, females bring a different perspective to a broad range of issues, not just female needs and wants. "The message sent to the broad composition of females in the sport, mums of junior players and the vast majority of volunteers at that level, players in both rugby league and touch football across the country, the many female employees of the code across the country in clubs from state and NRL level to grassroots, and females in government and the commercial world from all the game's sponsorship families, and the fans, is not a very positive or representative one. "Across the code, as with most of society, females will occupy up to 50% of all people involved in the game. They would rightly feel as though the balance is just not there. "Now I am not a supporter of quotas, but I do believe in equality and it would be hard to accept that there are no females out there who have at least the same or better qualifications and experience than some on the commission. "Now that is not a criticism of current commissioners, far from it, but it is a statement of fact." Cullen is chair of Queensland Country Credit Union, while also chairing a workplace health and safety board and being a director of a private health insurance company. He is a past chairman of the Queensland Academy of Sport, which now has three females – one of them as chair – on a seven-person board. Last November in an interview with NRL.com Grant acknowledged his disappointment that he was not able to make more women commissioners a reality. "It is true to say that under my watch as chair the number of women on the commission has not increased from the one it started with. This has not been without trying. We have just been unsuccessful in the recruitment process," he said, adding that the ARLC needed greater diversity. Like Grant, Harris is exiting the ARLC this month but she didn't miss the opportunity to push for more gender-equality in decision making. "Congratulations to Bruno Cullen, for being so outspoken on what should not even be a slightly contentious issue," Harris told NRL.com. "The disappointment for me has been that there are a small group of powerbrokers who sit outside Rugby League Central and think they own our game, sadly they have a pathological incapacity to recognise opportunity when it presents itself. The women issue is just one indicator of this. "Of course in this day and age there should be at least three or four women on a 10-person board - they are the Institute of Sport guidelines also." South Sydney chairman Nick Pappas was involved in scouting for new talent for the ARLC. He pointed out that under the new constitutional agreement the heads of the NSWRL and QRL, who happened to be men, were automatically elected. Pappas also pointed to the fact the ARLC didn't move on appointing more females in six years, when it had the opportunity with resignations of commissioners. He defended the clubs' decision to nominate men for their two seats, saying it was an "organic process" that more women would rise to senior ranks in the game eventually. "This is not about finger-pointing. We could do better but we all could do better. Females on the Commission is something we all aspire to across the game," Pappas told NRL.com. "As far as the Commission is concerned we've got a prevailing majority of independents and for that we're in the hands of the Commission itself. They could also be setting the standard there. "As far as the two state reps are concerned, the first two appointments are automatic so we're beholden to whoever they have as their chairmen. They both happen to be men. "As far as the two clubs are concerned, it would be good to see female representation there but that's a function of what percolates to the top at the club level. There's no reason we can't have more (women) in the fullness of time as each new appointment comes up. At the club level it would be good to see some more female nominees coming forward. "(NRL clubs) are only just getting our foot into the Commission at this stage so don't judge us too early. As the game evolves you will see it happen." "From experience, females bring a different perspective to a broad range of issues, not just female needs and wants. "(NRL clubs) are only just getting our foot into the Commission at this stage so don't judge us too early. As the game evolves you will see it happen."